Marty Stout is a seasoned information technology executive with over 20 years of life science / biotechnology industry experience and over 30 years in the Information technology field. Mr. Stout currently serves as J. Craig Venter Institute’s (JCVI) chief technology officer, where he oversees all IT, facilities, and security services. This portfolio includes multiple data centers, offices, and a state-of-the-art LEED-Platinum genomics laboratory facility. Mr. Stout first joined JCVI at what was then known as The Center for the Advancement of Genomics (TCAG) as an IT manager and systems administrator. As TCAG merged with other Venter-affiliated nonprofit entities and became the JCVI, he was appointed vice president of information technology, and later its CTO. During his time at JCVI, the IT department built out a 60k square foot, large-scale DNA sequencing and data center in Rockville, Maryland and a second 125k square foot building and data center also in Rockville, Maryland. 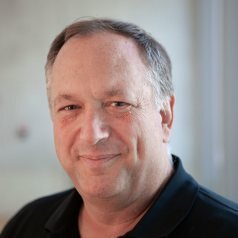 He also directed a data center move and worked closely with the engineering team that designed and built JCVI’s LEED-Platinum headquarters on the campus of UC San Diego which is heavily integrated with computer systems for services from lighting to HVAC. Prior to JCVI, Mr. Stout was a computer systems administrator at Celera Genomics, where under the direction of Dr. Venter the first draft sequence of the human genome was published. He also previously worked as a systems administrator at Walter Reed Army Medical Center. Mr. Stout studied computer science and received his Bachelor of Arts from the University of Maryland College Park.